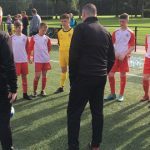 Good luck to Cliftonville Under 13s, who are competing in the SV Nevelo tournament in the Netherlands today. Staged in Oisterwijk, the competition will see the Reds take on FAN 96 at 9am, before locking horns with KV Bonheiden, Eddlewood, FC Rumeln, Harpole and two teams representing the hosts. 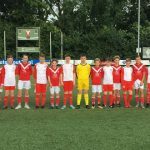 Last night, Cliftonville warmed up for today’s action with a 7-1 victory over Dutch side Jong Brabont and everyone at Solitude naturally extends best wishes for similar successes when the tournament commences this morning.